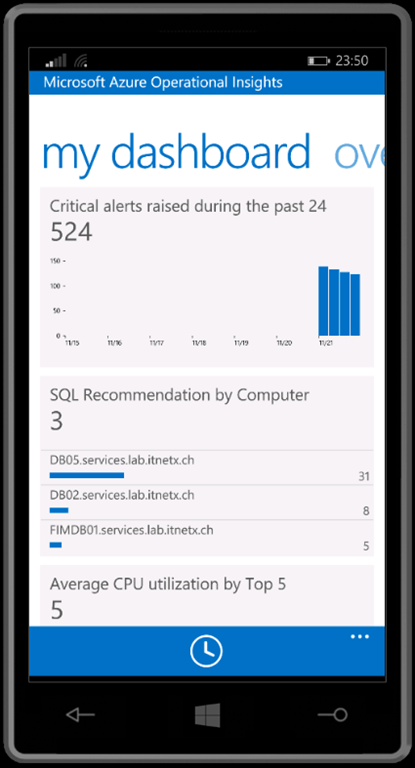 I have blogged previously about Microsoft Azure Operational Insights which is still in a preview stage and you can test it free of charge. Microsoft did already a great job visualizing all the data collected by the Intelligence Packs. 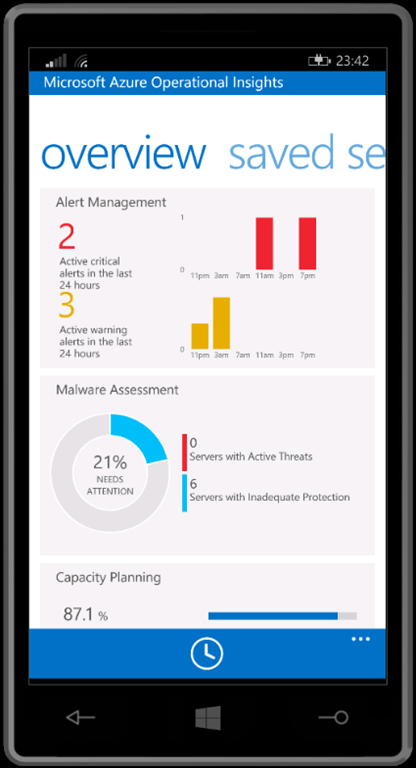 At this moment you are also able to have all this information on your Windows Phone. 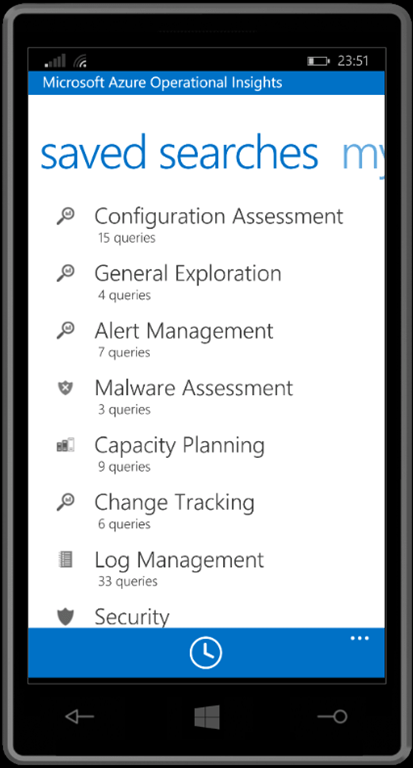 The release of the Microsoft Azure Operational Insights Mobile App allows you to look at all the available information on your mobile device. 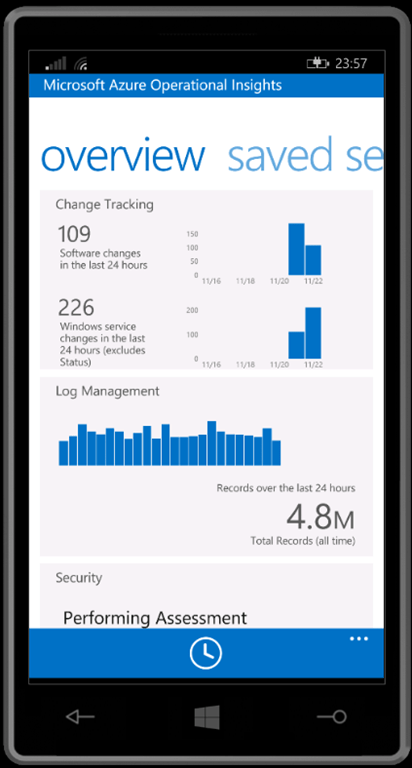 I am sure you can expect functional changes within Microsoft Azure Operational Insights using your browser or mobile app in the upcoming month. So this is just a point in time review. 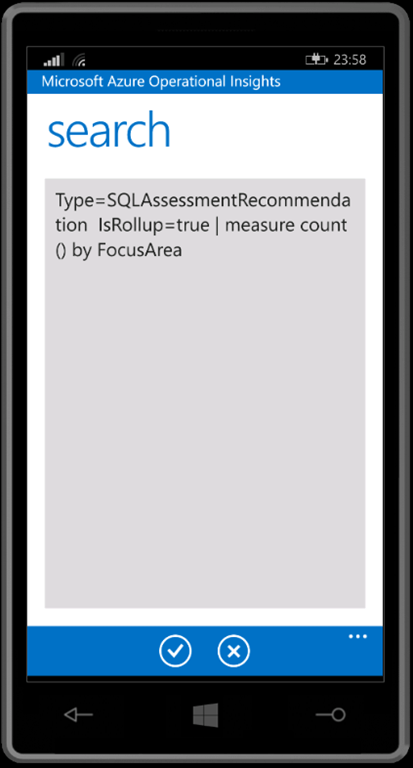 Tip: Did you know that you can display your Windows Phone screen on your Windows computer and take screenshots? Use this very cool tool Project My Screen App for Windows Phone, that’s the way I got the screenshots above :). Thanks Daniele, same for my Lumia 930 simultaneously ‘VolumeUP’+’Power’, but I use OneDrive 😉 for exchanging the pics.